Londoners, did you wake up to the sweet aroma of Play-Doh this morning? That’s the Chevy Orlando MPV. Or rather, that smell is from the 1.5 tons of Play-Doh making up a 1:1 scale model of Chevy’s upcoming people mover. The automaker polled 1,000 UK adults to figure out the most popular toy of their youth. Play-Doh won and even beat out LEGO by 17%. 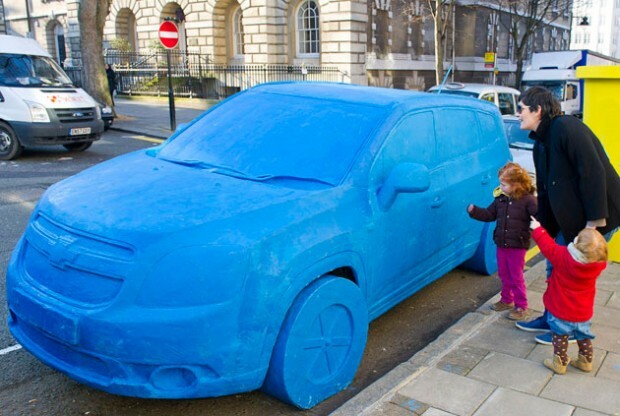 Of course this is just a bit of pliable viral marketing, but everyone loves Play-Doh — and the truck isn’t so bad either.